What can I say about the Summer of 2018, but WOW! Jam packed, weekend after weekend, non-stop activities, events, visits, planning, working, and playtime! My daughter Moriah has had one of the best Summers yet. I have had one of my best years yet. I have gotten more done this year then ever and have fit a whole lot of entertainment in between it all. I thought at times I would loose my mind. Our journey began in the beginning of April taking a quick visit to Georgia and Florida, celebrating Moriah’s 16th birthday. We tried to bring her to Disney World in Orlando, but it was a disaster. We had a better time at the Legacy Vacation Club than we did at the park (which lasted about 2 hours from parking lot top leaving). My daughter could not stand the long lines and heat, and began to be aggressive and attacked me and her mother, so we left. It was a short visit to see some of Moriah’s grandparents, aunts, uncle and cousins. 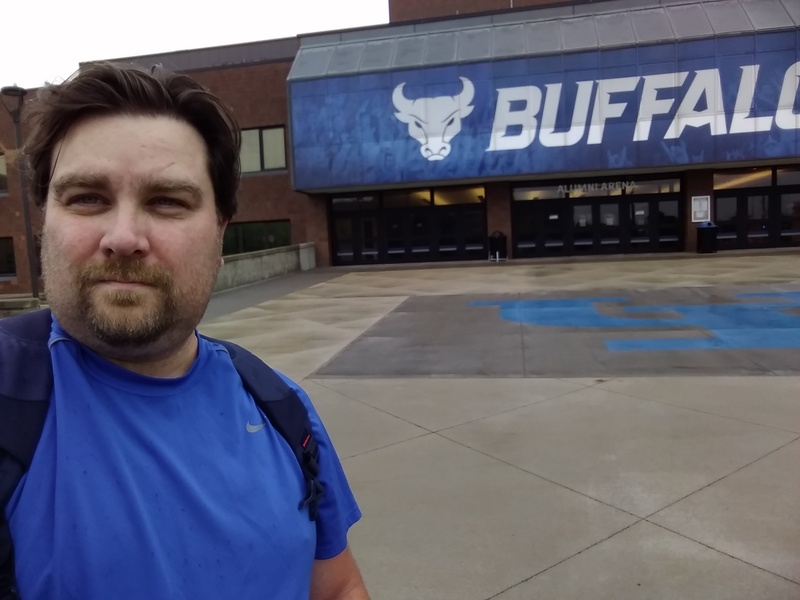 We returned to Buffalo to prepare for and even crazier schedule in the coming months. One Thing about living in Buffalo, New York (and anywhere in the Northeastern USA) is when winter finally ends, then the Summer begins. It was especially the case this year as we had 40 degree weather up until mid-April and then, all of the sudden the heating lamp went on and we jumped to the 70’s and never looked back. We truly had no Spring (or a smooth transition from Winter to Summer), but we were all ready to get our of the house again and enjoy the outdoors. There were a few memorable moments in May but we really started in mid-June when Moriah’s school was about to end. 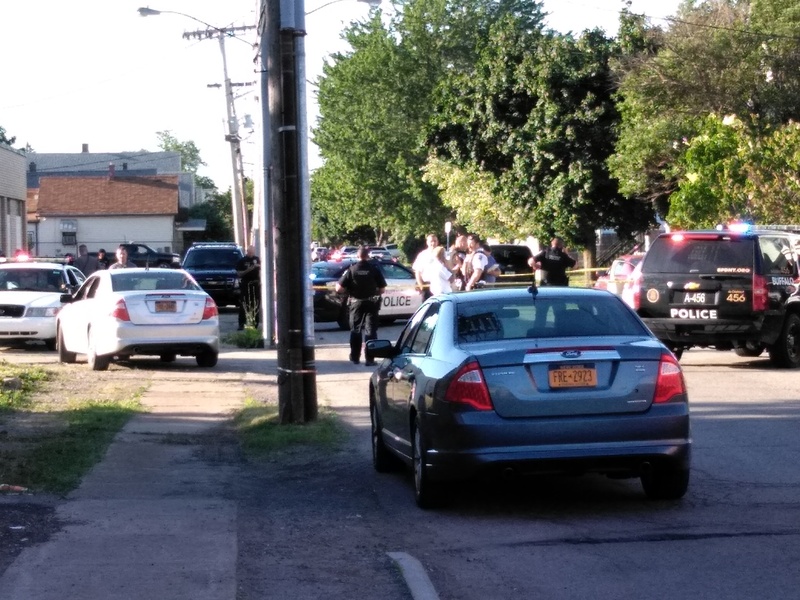 For me, I felt summer started June 14th, when I was in the pathway of a high-speed chase headed from downtown Buffalo through one of the main roads out from the city on William Street. I had a ride-share passenger at the time and just noticed a small car whizzing through the road opposite my direction with about 20 police vehicles in hot pursuit. I think these guys had cabin fever. One great event was getting approved for a loan to buy a used car, a beautiful 2013 Nissan Rogue with only 57,000 miles on it. It runs great and has little need for maintenance. It was my first car I financed since my very first car, a 1992 Geo Metro. Since 2001, when the Metro finally blew a gasket, I’ve been running hand-me-downs and hoopties, or no vehicle at all. There were times I rode a bike to took public transportation and even walked to get to work and back home. So this accomplishment has been very satisfying. I will recap my transportation history in another blog post later. 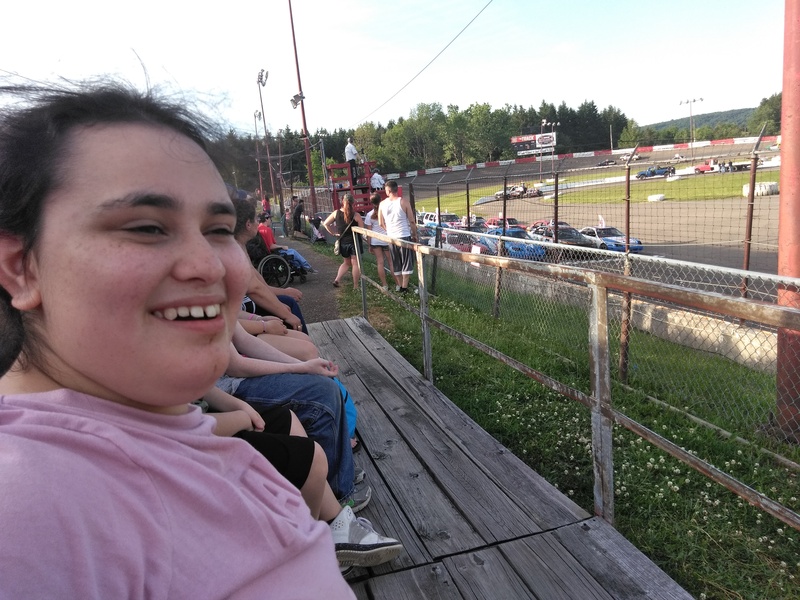 My daughter and I kicked off the Summer activities June 16th at the Crash-O-Rama Demolition Derby in Holland, NY with classic redneck fashion. My favorite event is always the trailer/boat race where each participating racer has to pull a trailer or boat behind them. It always leaves a mess after words but gives you plenty of those “Oh, NO!” moments throughout the night. One of the things I purchased for my daughter this year was a membership to the Buffalo Zoo, where she loves to visit the animals, especially the cow and mule, even though she really wants to see a horse. She also enjoys seeing the elephants and monkeys, and likes riding the train and the carousel. She has gone several times with just me, and other times with her mother and some friends. She never wants to leave and often times fights to stay there. I’m thinking of getting her a job there or open up an exhibit with her in it. She would be a wonderful addition to the wild animals there ;b. My journey in the acting world wasn’t as eventful this year since I was busy with many other projects, especially planning our 4th annual film festival [ www.glcff.com ]. 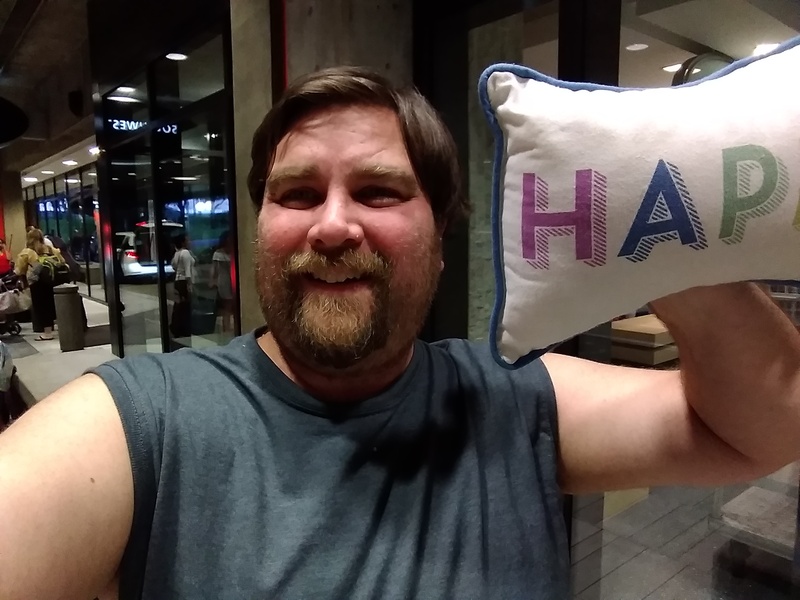 I, also, embarked on the journey to return to college and finish my Bachelors Degree in Media Studies, which I was to complete in 2002 at South Florida, Tampa, but, many personal events caused me to pause. 18 years later, I’m back on that path (more on that later). 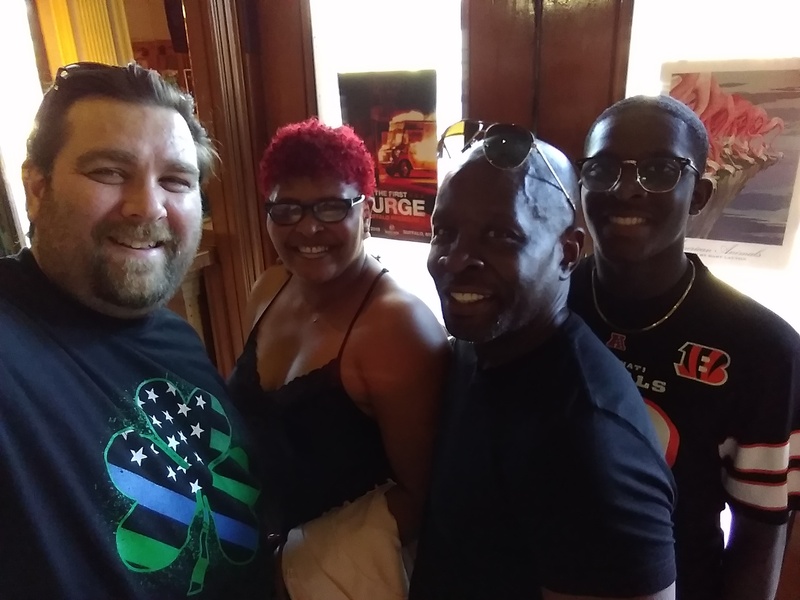 I did however, celebrate with other local Buffalo actors, extras, and crew on participating in a big budget production that screened on July 3rd at the North Park Theater, screening The First Purge. 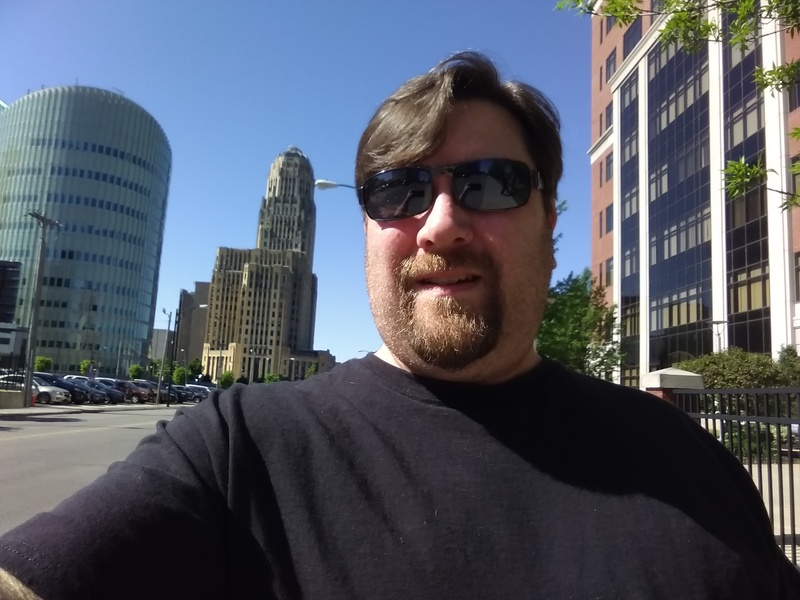 The local Buffalo film industry has grown to be profitable to Hollywood, and with the New York State Tax Credits, it has been the new market for producers to make there films. The Buffalo Niagara Film Commission has had a big impact on attracting new productions here. 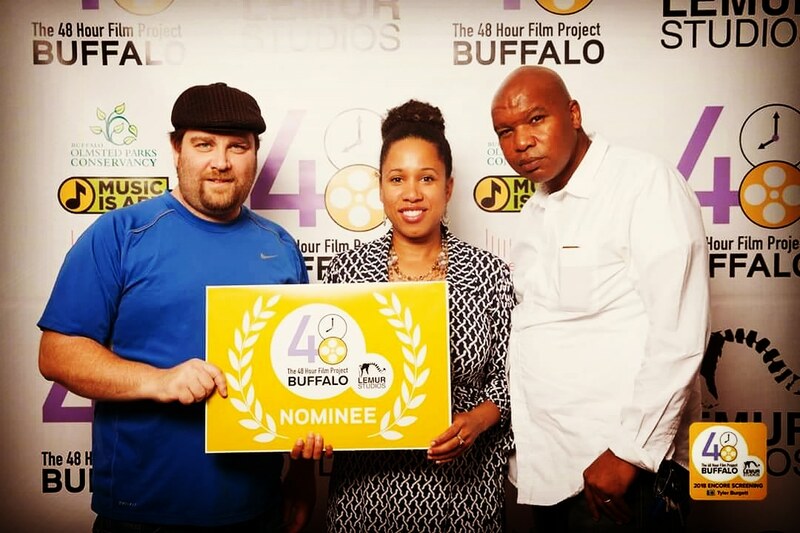 Executive Producer Chris Bongirne (Marshall, Bashira) is one of the many producers returning to make more than one film in the greater Buffalo area. The next day, on the day of the world premiere of The First Purge, we headed out to Orchard Park Middle School to celebrate the 4th of July with one of the best events and most spectacular display we’ve seen in our region. A stage with performances began the night, followed by array for fireworks with Americana Music playing, adding a soundtrack element missing in other venues. 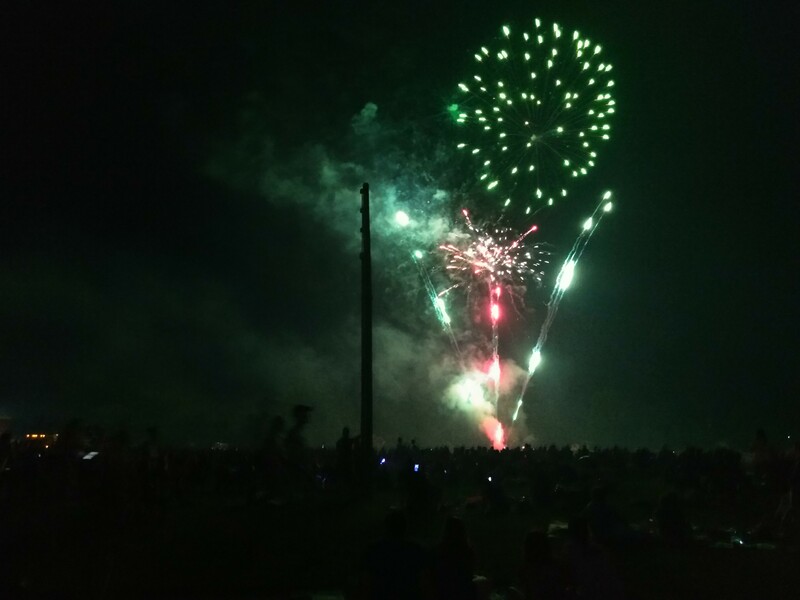 Afterwards, we capped the night by viewing the ongoing fireworks celebrations across the Western New York skyline looking north from Chestnut Ridge State Park – what a breathtaking view. It was a perfect night. The weather was excellent, and the mood was exciting. 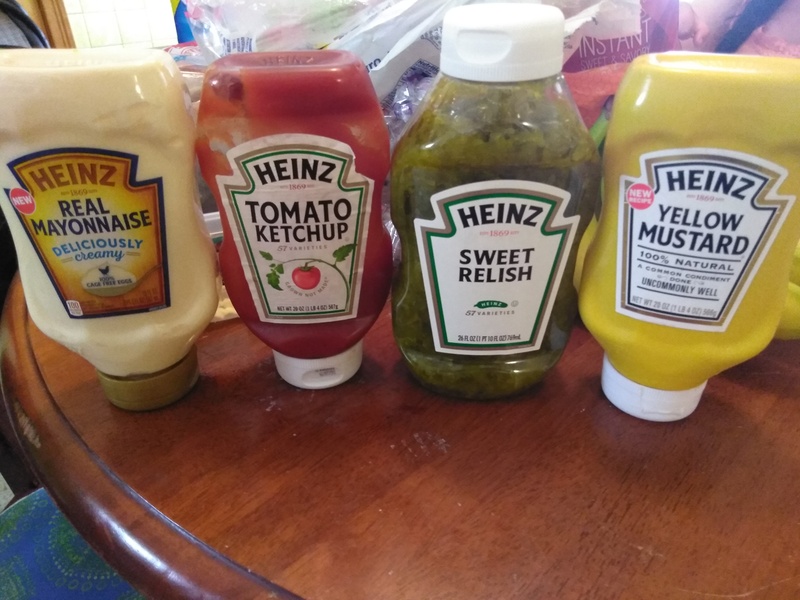 The Summer of 2018 was brought to you in part by the HEINZ family! July was indeed the month that everything went in high gear. 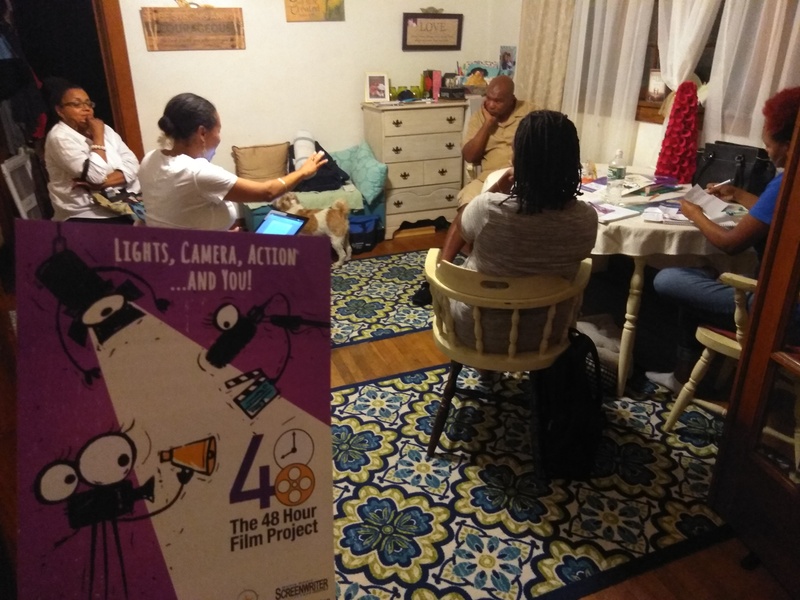 From one film premiere to the premieres of over 80 faith-based films in August, planning was in full effect, watching over 120 hours of film footage, and selecting, scheduling, and nominating the best of the best films. Even during all that, on July 7th, I managed to take my daughter to the a favorite and popular carnival in West Seneca hosted at the Queen of Heaven Church. We got blessed with free tickets as soon as we got there. Talk about a divine appointment. We ran into a few people we knew from around the region and met some new people. Moriah’s mother and I spent a few hours there enjoying the rides, games, and especially the carnies food (which is bad for you but is a part of the experience). During that week I also spent many hours hovering around West Seneca giving ride-share customers quality transportation. I mean, my rating is 4.85 or better so, I do well. 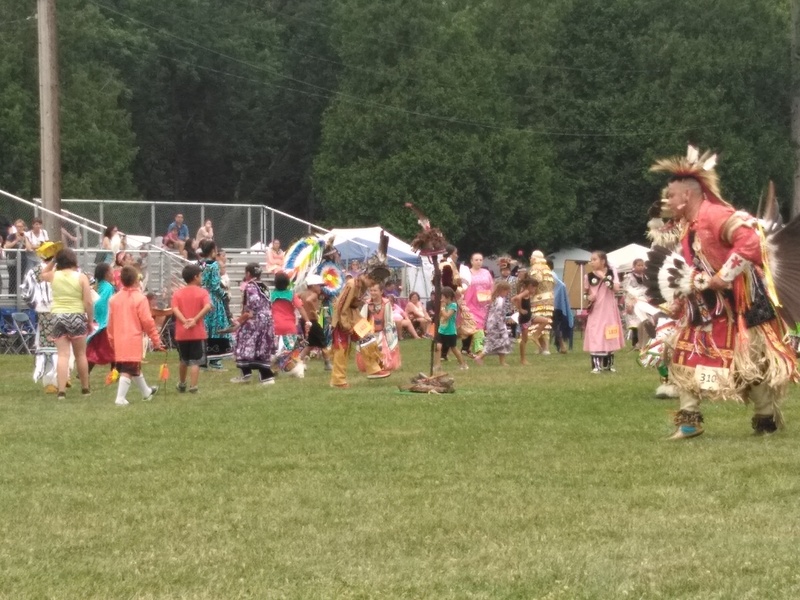 The next big event that my daughter loves more than any other is the Seneca Nation’s Annual Pow Wow. She has been a fan of First Nation (Native American, Native Canadian, etc) Pow Wow’s on YouTube for over 4 years. She contently looks for this content and can play it for hours in awe and wonder of the beauty of this culture. One thing about Moriah, is she is just like me, able to appreciate many different cultures from around the globe. She also likes to watch Eastern Indian celebrations on the tube. Anyways, the Seneca Nation puts off an incredible event with a great variety of food vendors. Some are local, some are native, and some are regional, but all are great representations of awesome First Nation food. The Indian Taco with fry bread is the best. 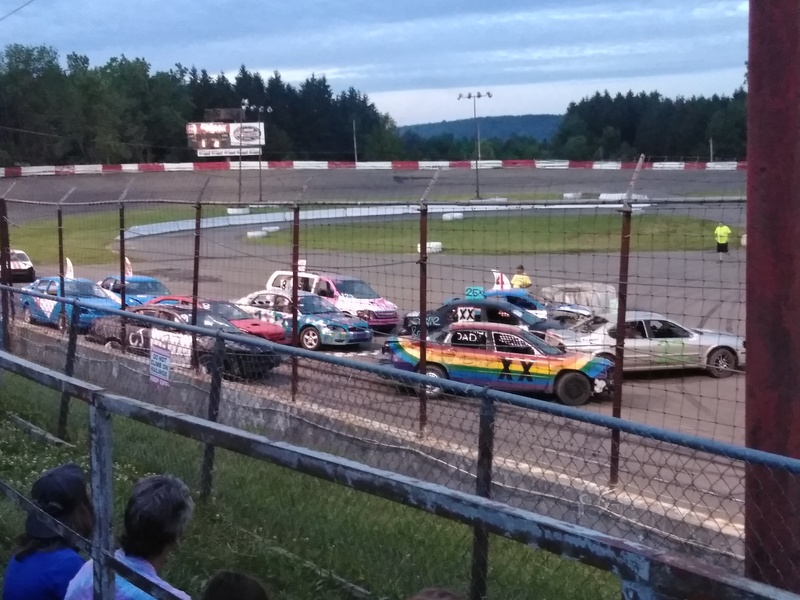 The event is held every year in Salamanca, New York, about an hour south of Buffalo. This was our 2nd year attending. We both love to come and enjoy this event together. It was a superb day as the weather held off until sundown to “rain on the parade” so the speak. 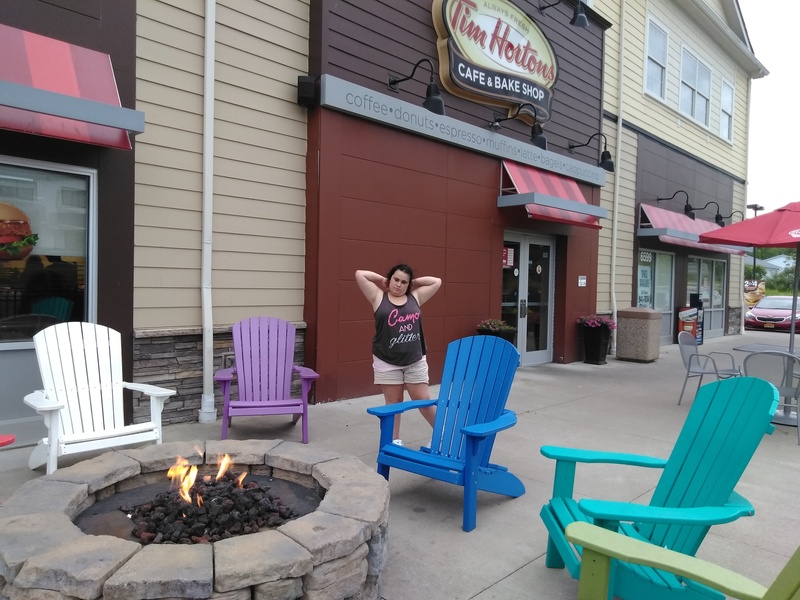 We had to end the night by stopping a Tim Horton’s just outside Ellicottville before heading home. This is a nice spot to hang! Another pastime for Moriah is attending a church service. Sometimes she wants to go to mommy’s church, sometimes to daddy’s church. Either way, she always enjoys the music and fellowship when she’s there. She sometimes gives a little shout of joy as the worship plays, especially if I’m in rotation to play the drums for worship. She enjoys seeing me up there doing my thang – she loves rhythm. She also loves seeing her mother sing on the worship team when she’s with her at her church. My daughter is very spiritual and can sense when God is in the midst of something. 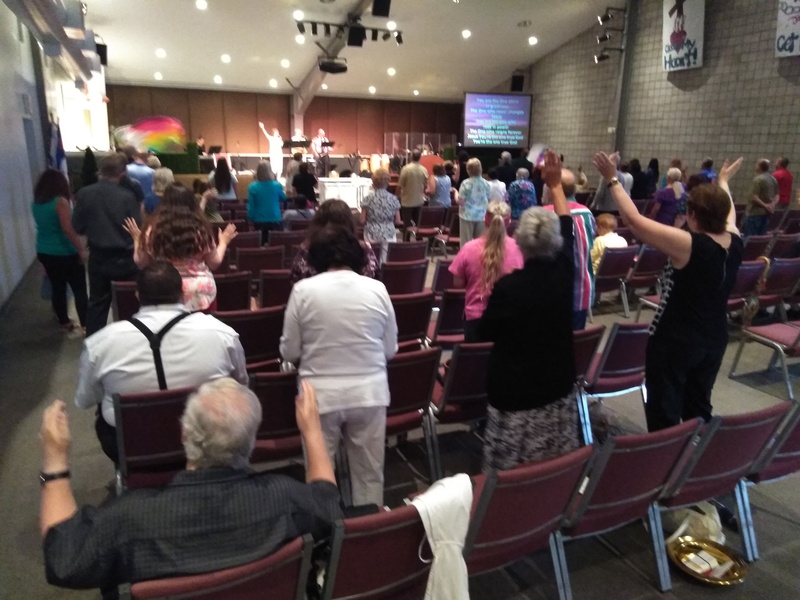 We capped off our pow wow weekend with an awesome church service at the Bread of Life Church. Fast forward to the weekend of July 27th, I flew to Tampa, Florida to visit family on a 48 hour trip. The sole purpose was to celebrate my awesome brother Brandon’s 40th Birthday. It was quick but it was jammed packed, from start to finish. My niece Catlyn picked me up from the airport, along with her boyfriend and my dad. We had a nice chat about buying and selling cars, Catlyn’s college and career choices, and my plan to go back to college. It was great seeing the Tampa Bay area growing all over the region with new developments. I still remember how empty much of the area was before I first set foot in Florida in 1993. We got to my dad’s house where my brother was awaiting my arrival. It was great to see him again, even though we saw each other a few months before. We talked most of the night reminiscing on the the great times we had, and some of the weird ones too. We got up the next morning, ate a light breakfast and set sail for my mother’s house, where we spent half the time eating, and the rest of the time sleeping. Nevertheless, we spent some quality time together. Later that afternoon, my bro and I met up with his wife (Pam) and 2 daughters (Lana and Hannah) at Ford’s Garage. I had a tasty burger and fries. We filled our bellies, had the staff sing happy birthday to him, and had some dessert. Afterwards, we hung our at the The Shops at Wiregrass in Wesley Chapel, where my brother and I played chess with the big out door pieces, just outside of Barnes and Nobles bookstore (I still can’t believe how much development has taken place over the past 5 years in the Eastern Pasco County area). We got a few things at the book store and finally ended the night with a good rest. The very next day we continued my brother’s 40th by having a gathering at my dad’s house with over 20 of us in attendance. It was a fun time together and memorable event. Again, we ate, and ate, and ate. Eating is fun. I returned that afternoon to Buffalo and completed my Tampa Blitz. 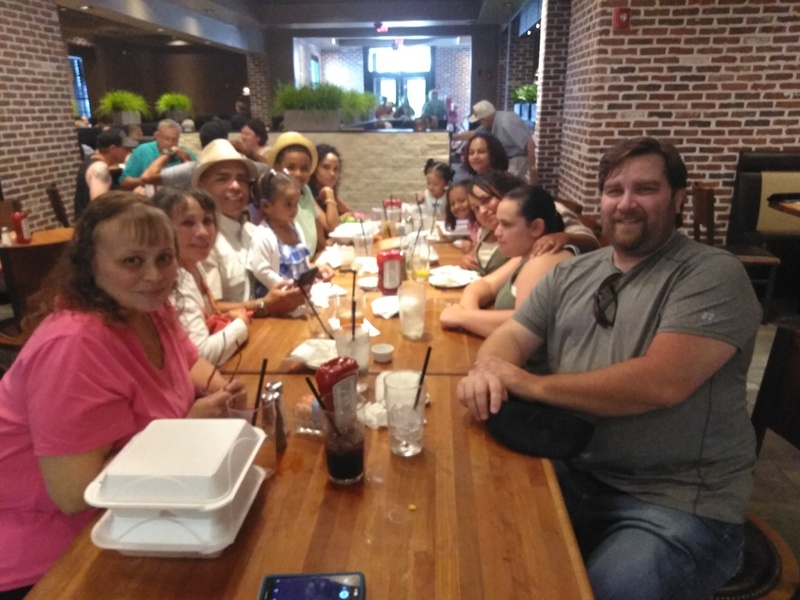 A few days later, July 31st, Michael Sperduti, my dad’s best friend and neighbor for over 50 years, was visiting his sister in Buffalo, so we got together for – you guest it – to eat. 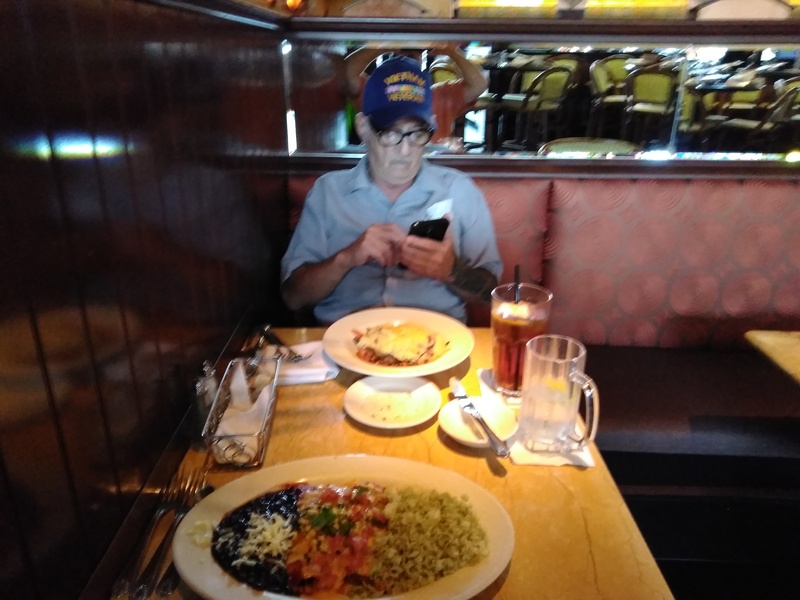 Mike and I hung out at the Cheesecake Factory in the Walden Galleria. It was my first time there, and I got the Mexican dish. Tasty! We drove around town a little to get him caught up on the developments in our area. Meanwhile, I’m doing errands in between our stops for the film festival coming up in a couple days. It was a good day. Mike was there in the beginning of the film festival planning stages and was very happy to see where it came from and where it is becoming. It’s great to show investors the progress. This brings us to the peak of the summer of 2018, the Great Lakes Christian Film Festival. I’m going to skip giving details about the next weekend, Aug 2-5. You can go to the website to get all the details. ( www.glcff.com ) The bottom line is it was fantastic! The finale was the festival awards, followed by my daughter’s entry into the room as we concluded with prayer. AND? I was exhausted afterwards. From this weekend on, the month of August was a blur. It’s a good thing we got cellphones to capture the moments. 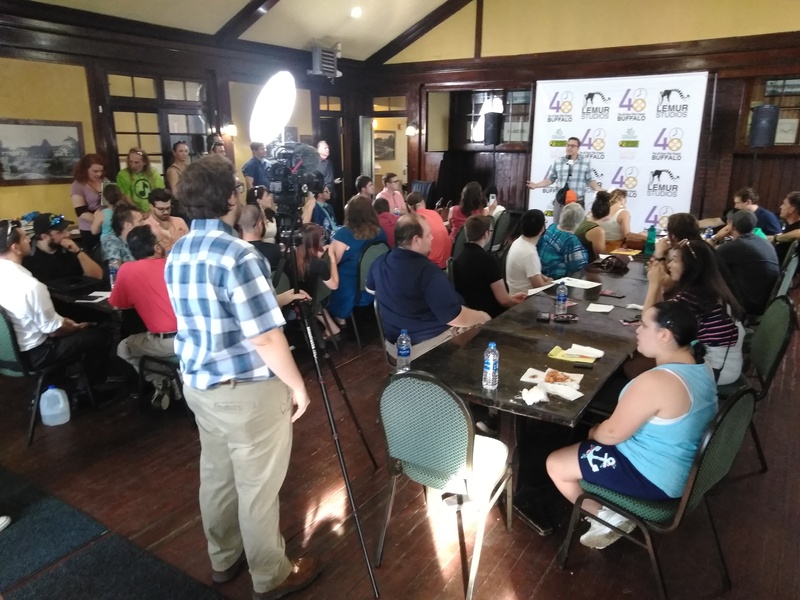 Like, the Buffalo 48 Hour Film Project competition, held annually, with this year having 24 teams competing for top nominations and awards in many categories, like, Best Use of Prop, or Best Cinematography. 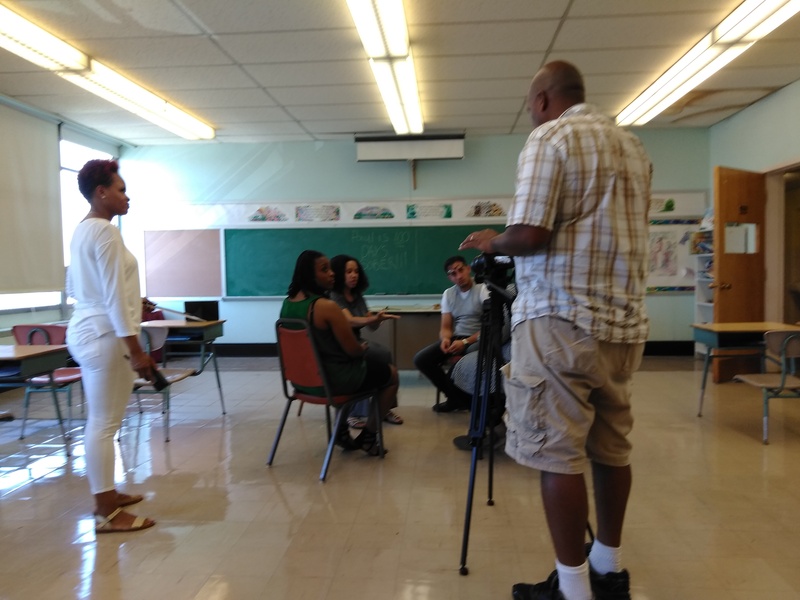 My daughter was behind the scenes with me the whole time we shot our film SLICED with the team I worked with called A Ray Of Color, written, directed, produced by Ekaete Bailey and shot by Carl Bailey. We began the project at the launch party Aug 10th and had it submitted Aug 12th. All the shooting took place Saturday the 11th and editing lasted through Sunday afternoon. I had a great time with this team, and loved every minute of it, even when I was able to nap every chance I got. My daughter was behind the scenes the while time we were shooting and was excellently behaved. I played a character named Familiar Spirit and was the main antagonist. I got my brother from Florida involved by getting one of his instrumental tracks “Got Faith“ added to the production. My brother Brandon goes by the stage name LEGACY, and his music is on several platforms like, iTunes, Bandcamp and Soundclick. Shortly after we got all the materials in necessary to complete the film, I was on the road again to Georgia and Florida to take a longer vacation and celebrate, yet another birthday. Ariana, Rosemaire’s oldest daughter and Moriah’s older sister, lives in Albany, Georgia with her boyfriend and 2 daughters. It took us 16 hours drive-time to get there, but we made it, and I slept for the first day afterwards. We got there just in time to celebrate her 24th Birthday with her boyfriends family Tuesday Night. 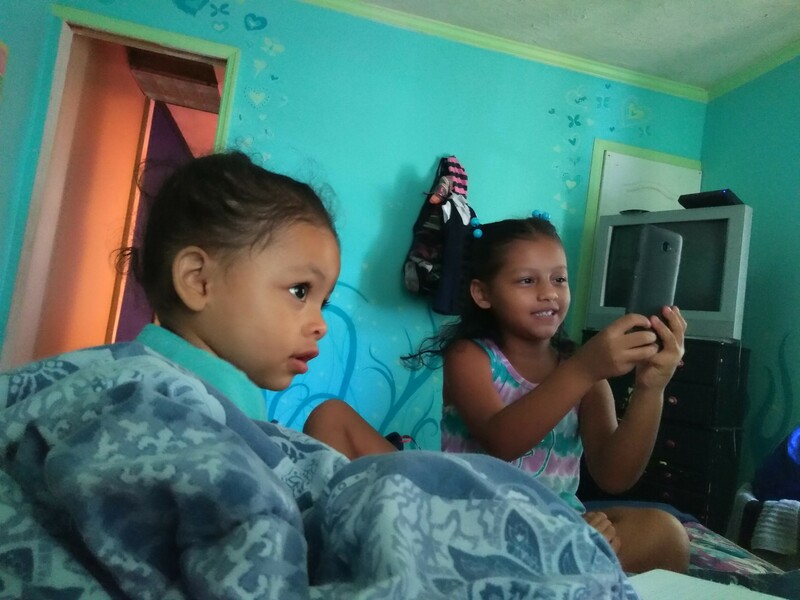 Got some timeless phone videos that Moriah repeats over and over again. Good Times! It was a HOT Southern Georgia week, but I got through it. The one thing I don’t do well in is humidity. The time we spent were with mostly Ariana’s girls. It was fun and wild and sometimes annoying, but it was worth it. A lot of good memories came from the visit. 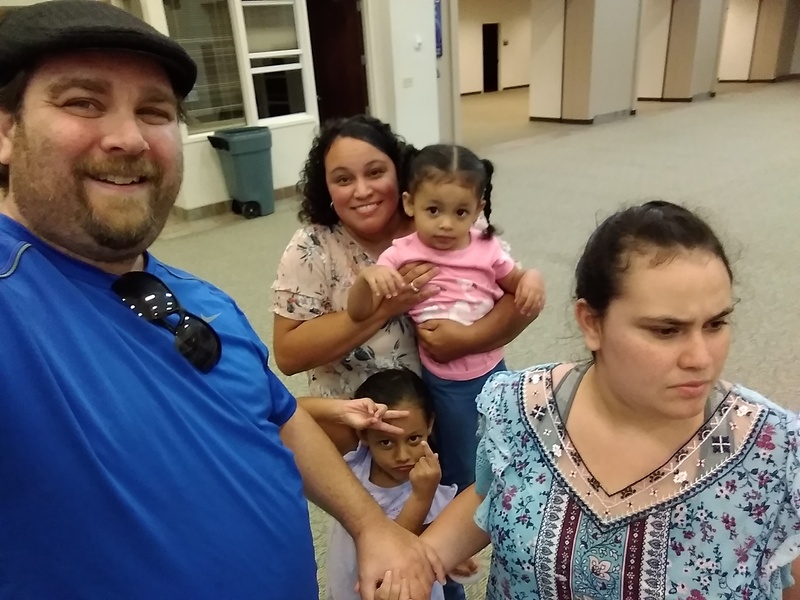 On Wednesday Night, Aug 15th, Rosemarie and I took the girls with us and visited the church that the Kendrick Brothers attend and Pastor called the Sherwood Baptist Church on the West side of Albany, Georgia. It was a beautiful and big facility, where we got to eat, yes, eat, for FREE, during their weekly Wednesday night family ml night. But, that’s not all we did. 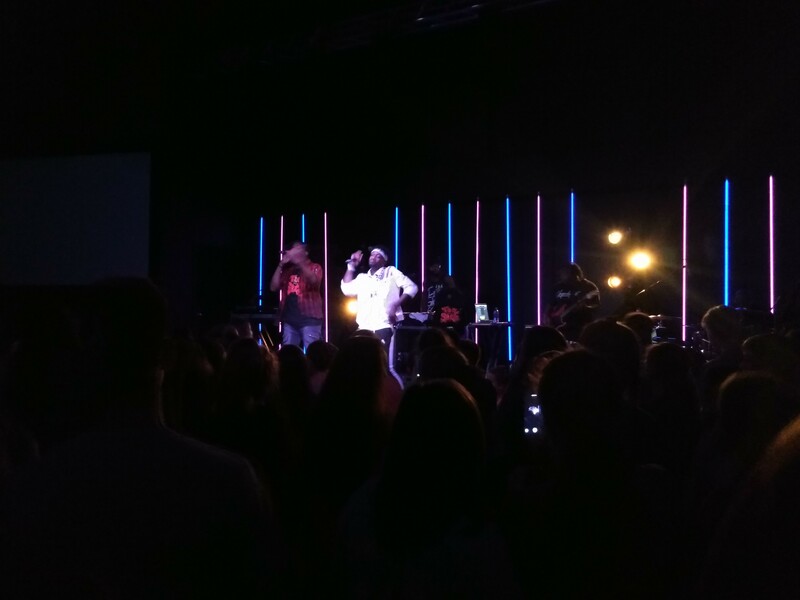 We checked out the youth group event going on and a Christian Artist going by the name Phil J was performing. Moriah was digging it and was dancing the whole time. We stayed for a bit until the little ones got antsy. All in all, it was a great night of fellowship and entertainment. 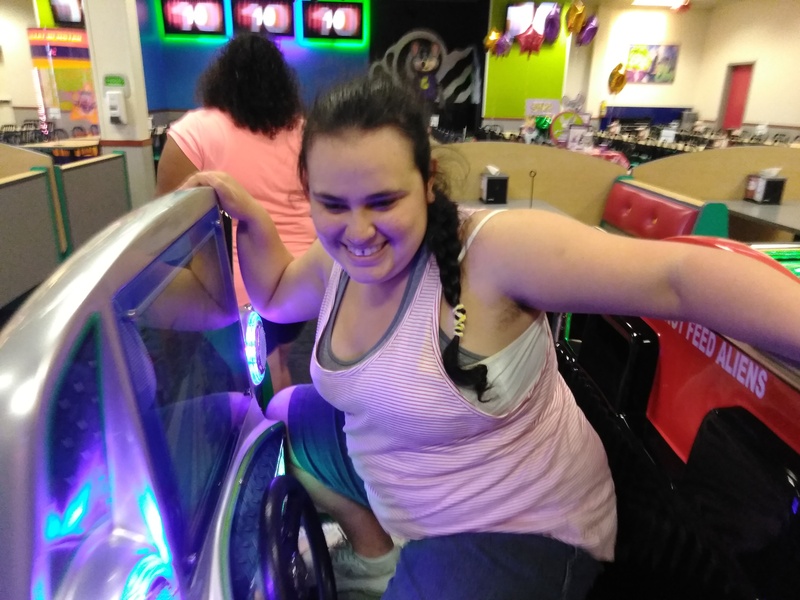 A few days later we went out to eat at Zaxby’s and took Moriah to one her favorite places in the world, Chuck E Cheese’s. It’s hard to communicate to an autistic person that they are too big for certain rides, they just have to experience the discomfort of riding on it. We stayed long enough to get her fix and concluded the venture for the day. Not only did we hang with the family in Georgia, we also got to hang with Rosemarie’s parents (Carman and Daniel) and sisters, Moriah’s favorite people. On Saturday August 18th, we did a mini tour to celebrate Ariana’s birthday. 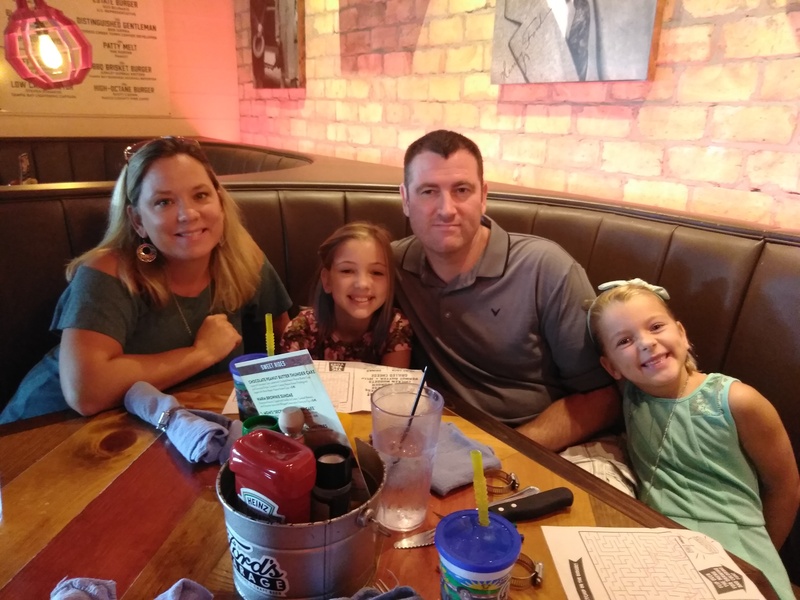 We took Ariana and the girls to Spring Hill, Florida and ate (yes, more food) at Cheddar’s, and yes, it was awesome food. We were accompanied by Moriah’s grandparents, aunts and cousins, with 13 of us all together at a table. We all talked about what’s been happening in each other’s lives and trying out each other’s foods. We ended the day Carman and Danny’s house, watched a few movies, and stayed the night. 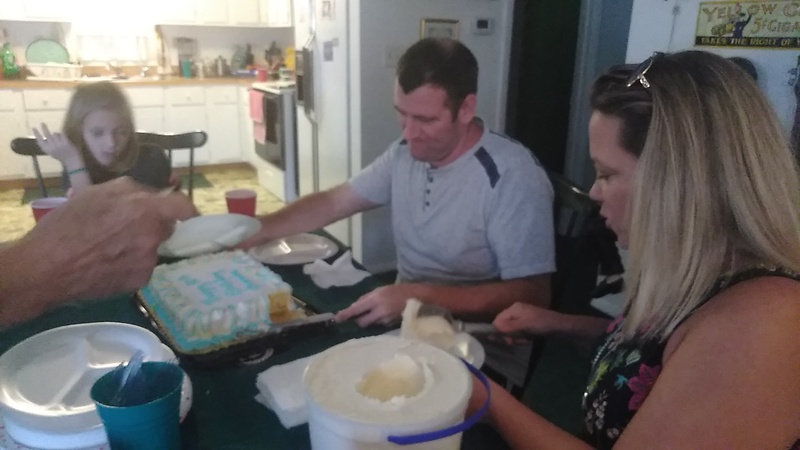 We got up the next day, ate breakfast, and took a bunch of food that Carman gave us and brought it to my dad’s house, where we had another celebration of Ariana’s Birthday. My parents, brother, sister, niece, and Doug were there catching up on all the news. Almost all the food Carman gave us was gone after visiting my dad’s house. Can you tell we like to eat? Our visit there was a short 3 hours since we had to get back to Albany, Georgia before bedtime. Once we got back we stayed one more night before planning our trip to return to Buffalo. It was time for me to return home before I lost my mind. After a successful set of trips the past few months, it was time to get back to business and get some things in order for the coming Fall. 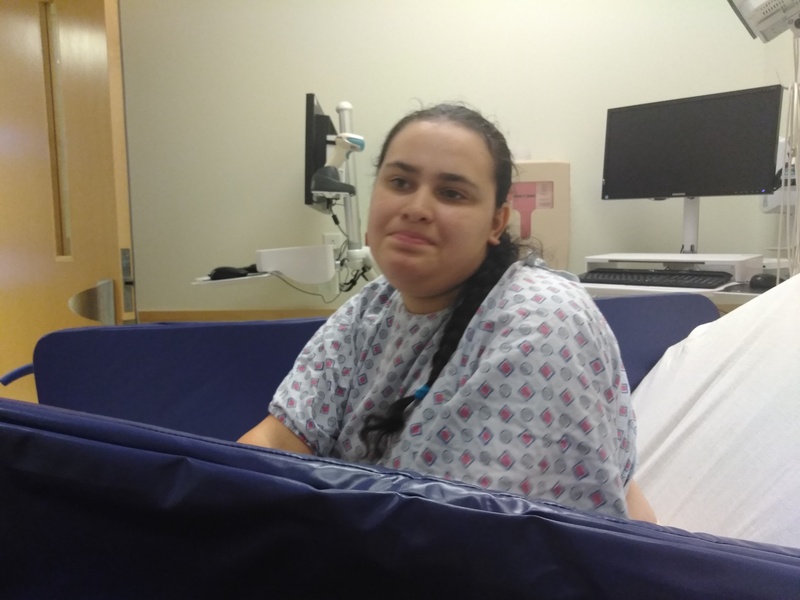 First thing was getting Moriah her MRI ordered by the neurologist to see if there have been any updates on her condition (seizure disorder). Tests are currently pending, but she is in good health otherwise. She was very entertaining to the staff, as usual. The next chapter in my life was beginning, as I embark on a journey to finish what I started, a BA in Media Studies, a degree I started in South Florida as a AA transfer student from a Florida community college. That was 18 years ago, so, the journey continues. 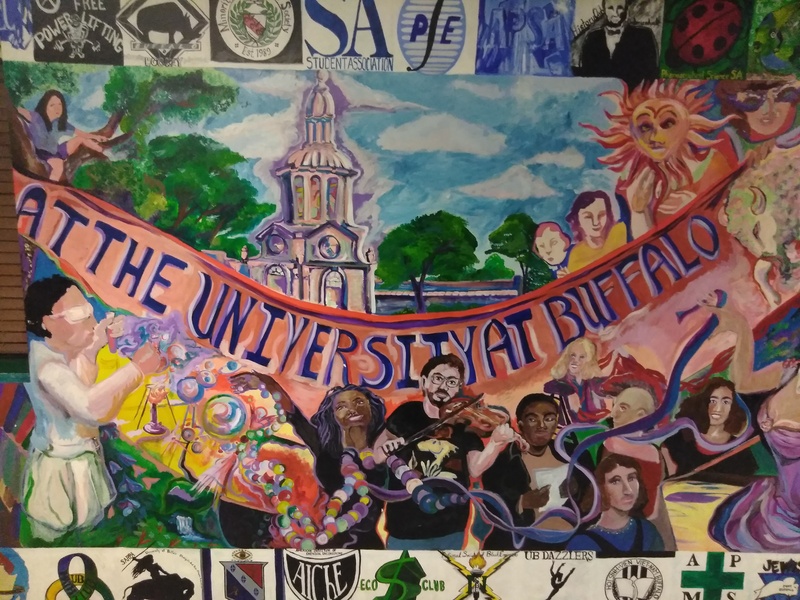 I got all the paperwork, forms, orientation, emails, more forms, log ins, etc done within the first few days back from Georgia, and I am now an official student at the University at Buffalo. I can honestly say, I never thought I could get back on this horse again but I’m doing it, no matter how much older I am to the average student, I’m getting it done. I officially started classes Aug 27th and dropped and added the previous weekend after much discussions with my VA rep and Academic Advisor. The first week was great, I got 2 classes to go with my Theater minor, a Journalism Class, and an online Media class. No matter the cost, I’m in it to win it. I’ve debated if I would have time to be a part of any clubs this semester. 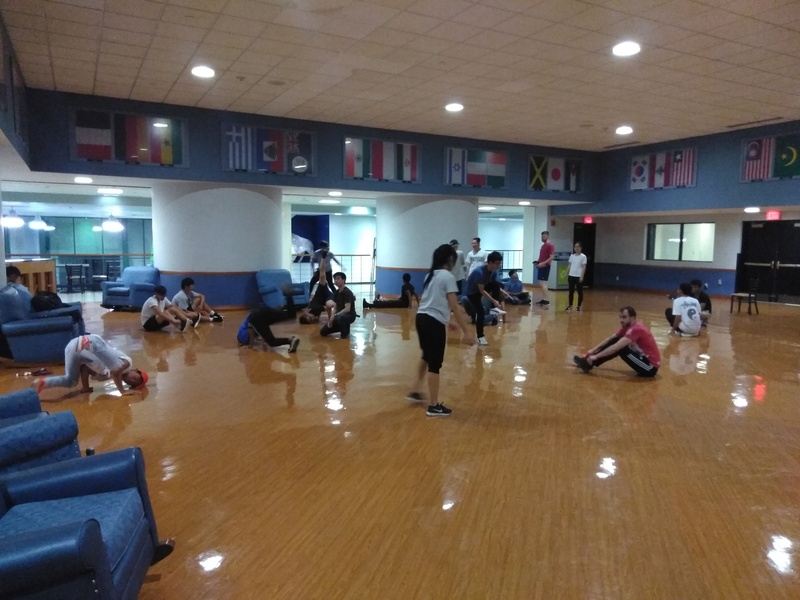 I walked around campus and checked out a few clubs just getting started, like the Break Dance Club and the YuGiOh Role Playing Club. Both of which I am not capable of being in, but it was fun to meet some new people. There were a few clubs I might have been interested in joining, but some fall during a class or during the times I have to attend to my daughter. I’m OK with that. I’ve had a lot of fun as a young man in the Navy, and even though it was along road to get myself together, I don’t feel as if I missed out one the college experience. Most of these kids will never experience the military life, one that can give you a very different perspective on life and the world around you. 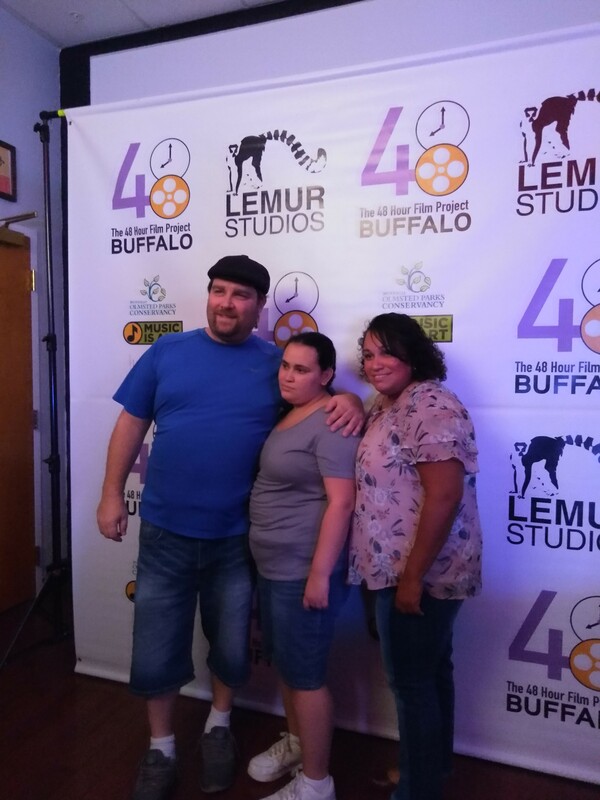 The last 2 days of the month of August concluded with an encore screening of the films from the Buffalo 48 Hour Film Project Thursday August 30th, where our team learned that we got a nomination for Best Use of a Line. The Awards Ceremony will be Sep 12th. And Finally, Friday Aug 31st, we ended the month with a BANG! 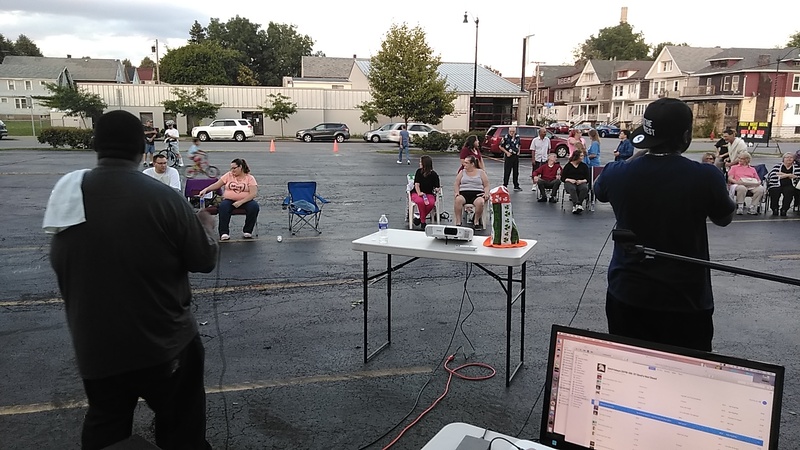 Bringing back the event I founded and hosted called “5th Fridays at the Bread” where we had an outdoor concert, ft Constant Battle, Maine, Tre, and J Prince, as I deejayed throughout the evening from 6-8.pm. We followed it with a screening of the movie “God’s Not Dead” starring Kevin Sorbo and Dean Cain. The Summer it’s official over until Labor Day is over so we managed to slip in one more activity before then, Rosemarie, Moriah and I went to the UB Bulls Football season opener against Delaware State, where at half-time we were leading 34-3. We didn’t stay the whole game because we knew we were going to win. And we did, 48-10, “GO BULLS”. We are still debating whether we will end the summer with a visit to Darien Lake, you’ll have to follow me on social media to find out.